With less than a minute to play, the Oakland Raiders looked ready to tie the game after a Seth Roberts touchdown from Derek Carr cut their deficit to one point against the New Orleans Saints. But then head coach Jack Del Rio got bold. Instead of playing for overtime, the Raiders opted to go for the win by trying for two. 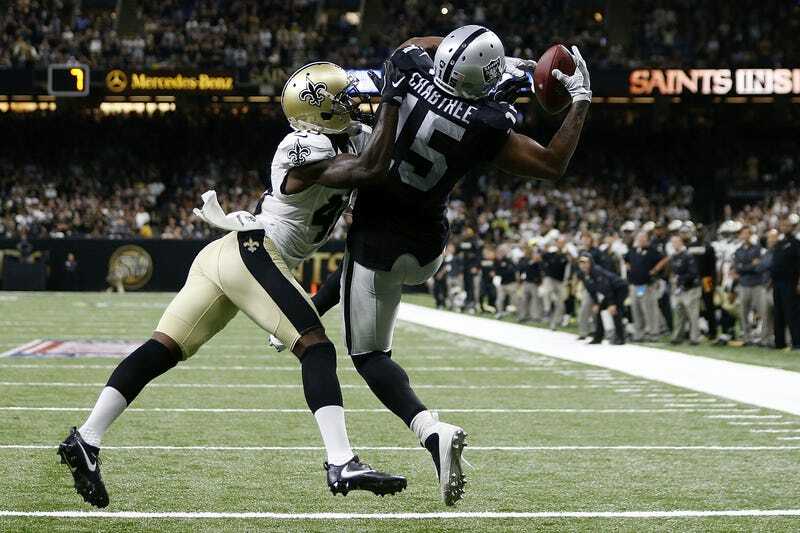 Michael Crabtree managed to hang on to Derek Carr’s pass to make the strategy work. The Saints tried a last-ditch 61-yard field goal attempt, but it was no good. The Raiders won, 35-34.